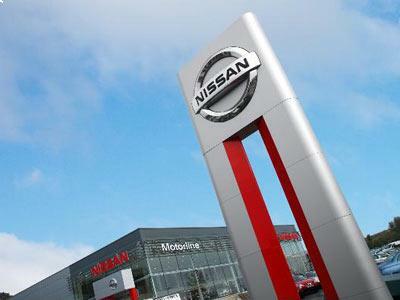 Eastern Western Motor Group has announced the official opening of Nissan's new, larger flagship car dealership for Scotland in Edinburgh's Luxury Car Village. The new site replaces the former flagship store on Corstorphine Road, which became too small for the purpose. It has been purpose built as the marque's flagship for the country at the cost of £6.5 million. The new dealership, known as Western Nissan, has taken on an additional 20 staff members in addition to the existing staff from the previous location. It employs 100 people overall. The site features both a development centre and showroom big enough to display 15 cars. Expansion is an attractive prospect for independent dealers when business is booming, and it can often make sense to stock more vehicles and move to larger premises. It's always vital to keep your motor trade insurance up to date to ensure your new larger premises and new stock are all included in your policy. As well as the showroom, the state-of-the-art new premises include a 14-bay workshop and a forecourt with space to sell some 125 used Nissan cars. The dealer principle added that the aim with the new site is to provide a premium service and that the dealership's location, surrounded in luxury car brands, helps to convey this message to customers.